So it was Day 2 for me and my friend in the Island of Fire - Siquijor. And I really loved the serenity of the place. We devoted Day 1 for a much needed rest. We stayed at Ate Lorna's End of the World, that's a resort by the way. I saw a trike driver/guide named Kuya Joam in a forum and texted him weeks before the trip. I booked our Siquijor countryside tour on our 2nd day and he quoted 850 pesos for the whole day tour - no rush (it's up to you if you wanna give him a tip). I asked him beforehand if he could give us a map of Siquijor and he obliged - he got it from the Provincial Capitol. Kuya Joam arrived at the resort 10 minutes earlier from our 9 a.m. call time and off we went to explore the mystical Siquijor province and its 6 towns in a day. 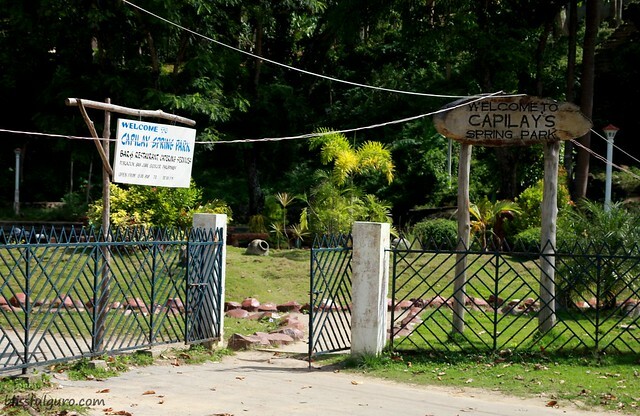 First stop was the San Juan de Capilay Spring Park in the town of San Juan. Take note that the End of the World resort is located in San Juan and during our Day 1, we went to San Juan's town center to buy some stuff and we saw this spring park but didn't knew what it was then. 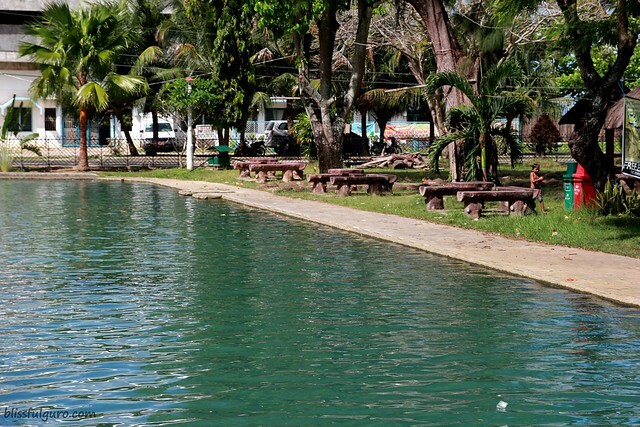 Later on we would find out that it is a natural spring situated in the town plaza. The spring is from the mountains and they made it into a swimming pool which is open to everybody who wants to take a dip - free of charge. It is quite deep and the water continuously flow out to the sea. 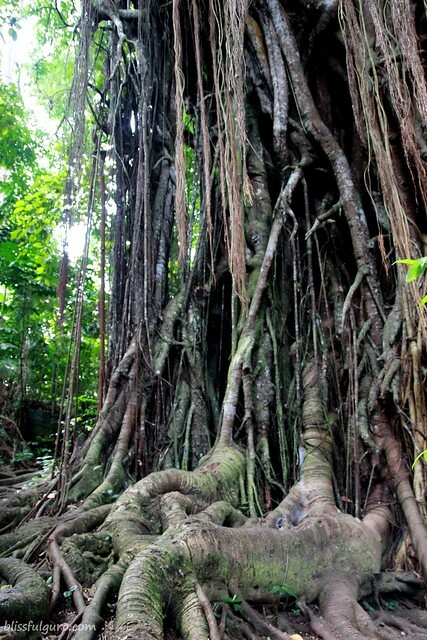 Next was the Century old Balete tree in the town of Lazi. We went around the tree and saw three young men having their merienda. They were munching on some coconut still on its husk. They gave me some and we chatted till we finished our munchies. 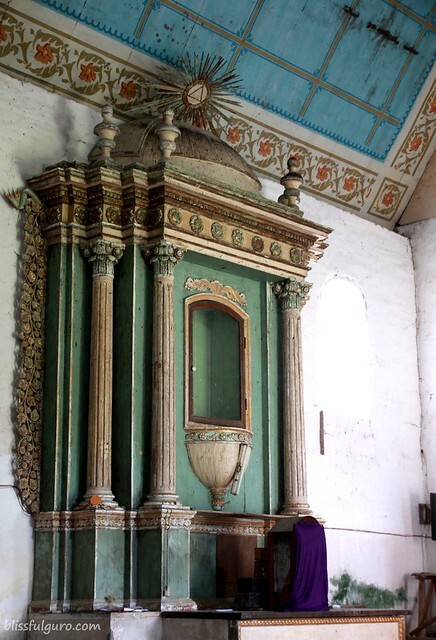 Next was the San Isidro Labrador church / Lazi Church, still in the town of Lazi. 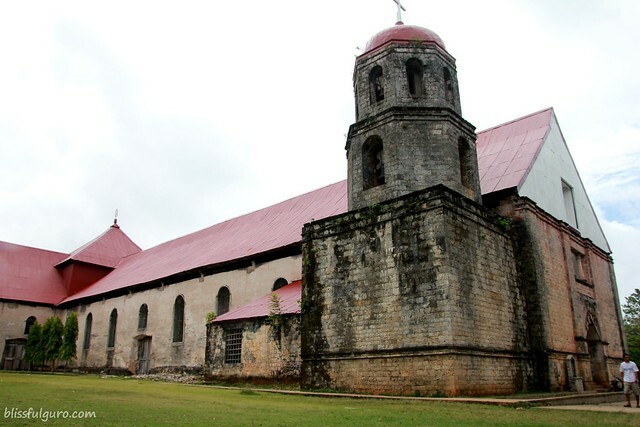 The church was constructed in 1884 using local materials such as hardwoods and coral stones. 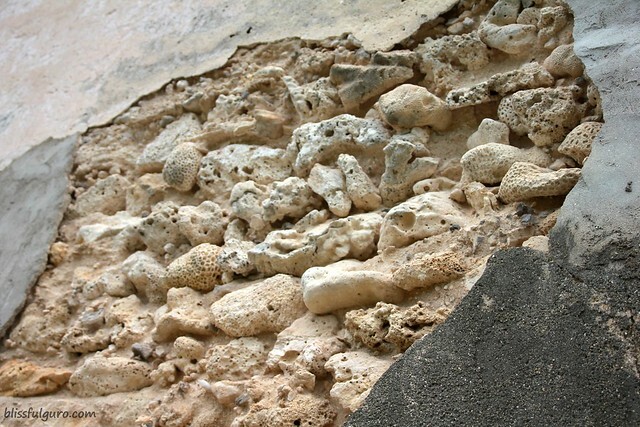 This is very evident on the exterior walls of the church. 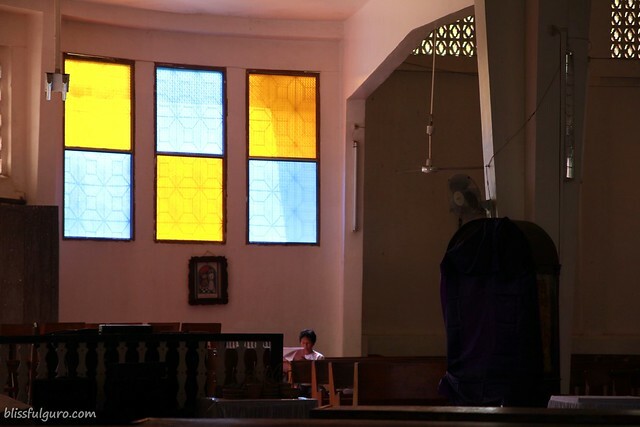 I noticed that the images inside the church were covered in a deep purple cloth. I don't know of those traditions so I asked Kuya Joam for the reason of covering such cloth. He said that they traditionally cover these images every Holy Week. I asked him why and he didn't know the rationale behind it. 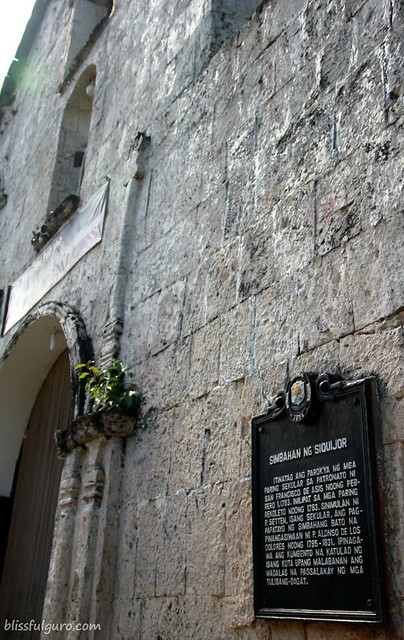 Across the street is the San Isidro Labrador convent. 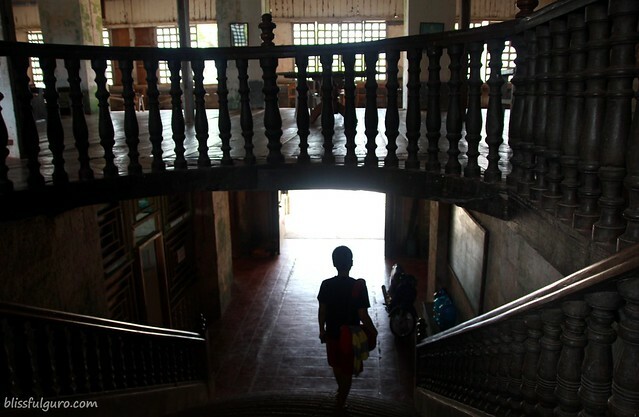 It was reported to be the biggest and one of the oldest convents in the Philippines. The Spaniards started the construction in 1887 and was completed in 1894. 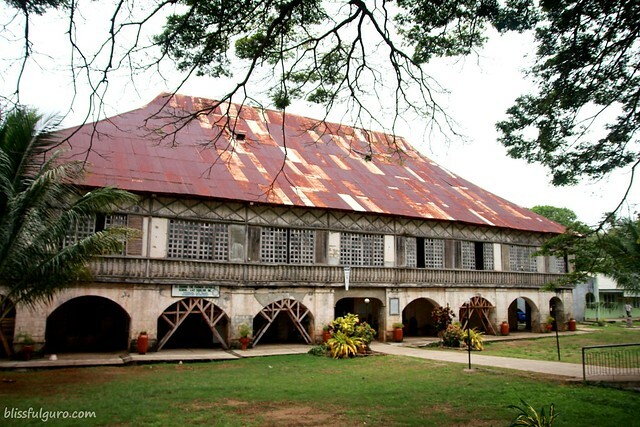 Today, it serves as the house of the parish priest and the office for the school administrators of their parochial school. You don't need to pay an entrance fee if you don't intend to see the convent's museum on the second floor. 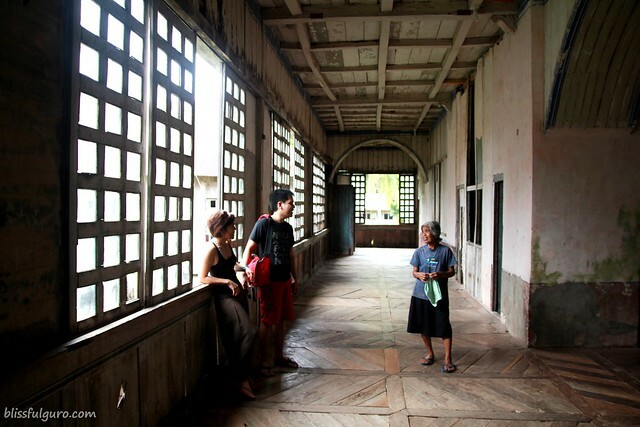 We met the convent's caretaker and she toured us inside the structure. She's been there for 30 years now and haven't received any monetary payment for her services. She said that it's all because of her deep faith and love to the Lord. Cambugahay falls in Lazi was next. For the first time, I paid a 15-peso parking fee for our tricycle. But still no entrance fees here. There were three levels of waterfalls and each one has its own charm. I particularly love my jump from the waterfalls and my vine ride a la Tarzan. can't wait to jump eh? We were about to go to Salagdoong beach when I invited Kuya Joam for lunch. It gave us time to chat a little and I asked him for a particular image I saw somewhere. I described it to him and he immediately knew what I was talking about. 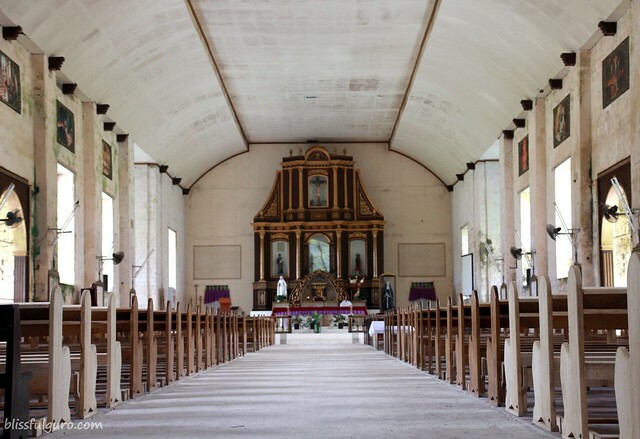 He said that the image might be covered just like in Lazi church but we still went on the Our Lady of Divine Providence church in the town of Maria. The church is made of tabique or bricks. We arrived there a little after 12 noon. It was still quiet. No one hindered us in entering the church premises. Deep inside I was hoping that the image was uncovered. We entered the church and it was quiet. I was busy taking photos of the interiors while Kuya Joam came to me rushing with a sweet smile on his face, "Di pa siya naka-cover Carla!". I immediately went towards the image and examined it. 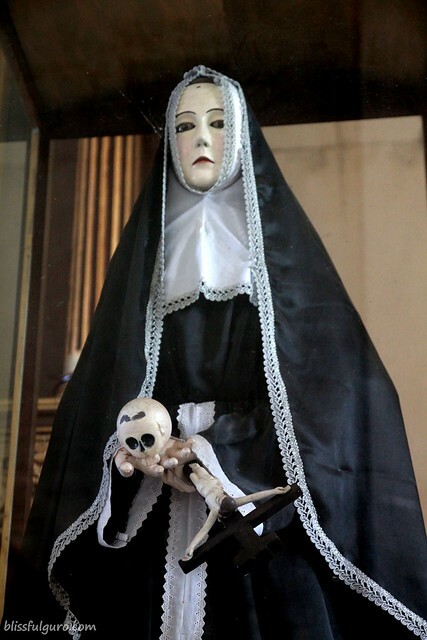 All then I saw it - the image of St. Rita de Cascia or the Black Magic Mary. The image was wearing a black gown while holding a skull on its right hand and an inverted crucifix on the left. I looked at it and stared at the eyes. It was so piercing and it felt like it was speaking to me through its eyes. I googled it and saw different interpretations for the image and St. Rita herself which I can't confirm. Salagdoong beach was next and still in the town of Maria. 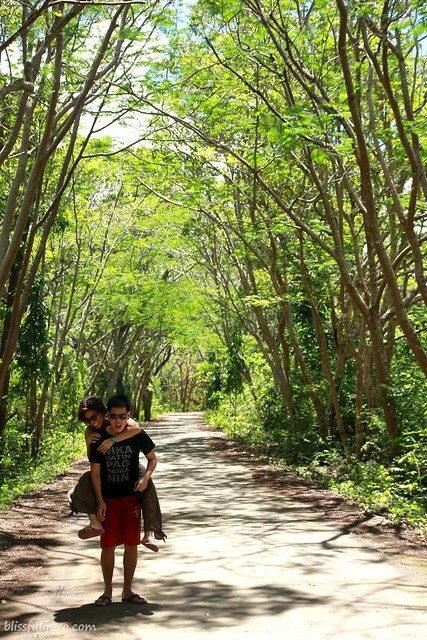 While we're on our way to the beach, Kuya Joam pulled down on this long stretch of trees. He asked us to pose for him but we couldn't do the pose he was asking for and boy was he frustrated. A few minutes later, we arrived at the beach. We paid an entrance fee of 15 pesos each (Kuya Joam was free of charge). As soon as I saw the beach, I couldn't help but get giddy like a kid. I didn't do a research prior to this trip so I didn't know that there were some cliff diving points here. 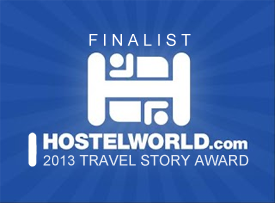 Only when Kuya Joam told us that I learned about it. I peeked on how high it was and without so much thinking about it, I told them that I want to jump. And I did it! That thing they called cliff diving jumping that's so fun! 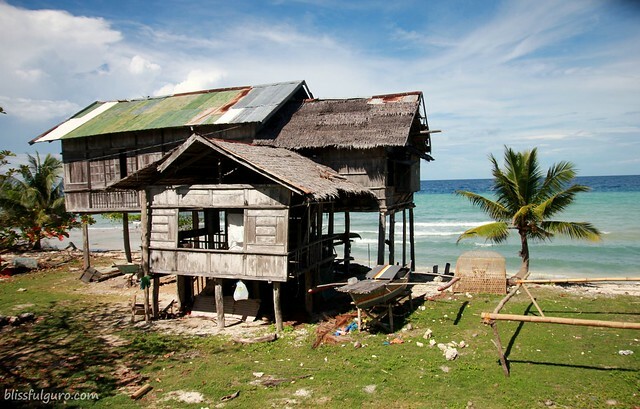 We had a great time at the Salagdoong beach and next destination was the Century old house in the town of Enrique Villanueva. What's more amazing is that it is still functional up to now. It was siesta time so we didn't had the chance to talk to the caretaker of the house. And then I saw the beach and the waves. It was bigger than what Salagdoong have. I asked Kuya Joam if I can swim for a while and if the caretaker would mind and then he said, "Lalangoy ka ulit?". Laughter everywhere. I did enjoy my time in Maria beach except for the sharp corals on the seabed. 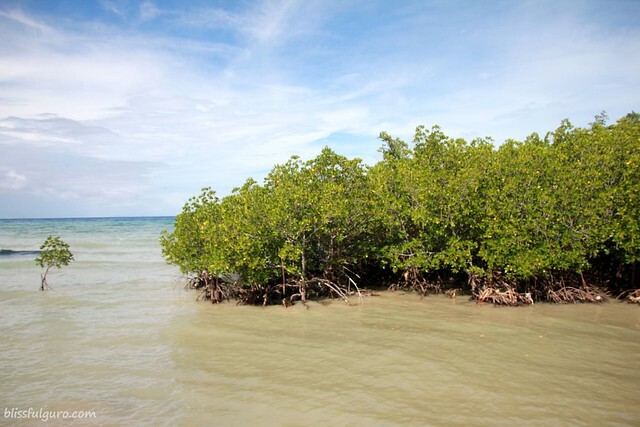 After fulfilling my beach addiction, we went to the nearby Tulapos Mangrove Sanctuary. While I was taking some photos of the mangroves, Kuya Joam bought some bukayo. 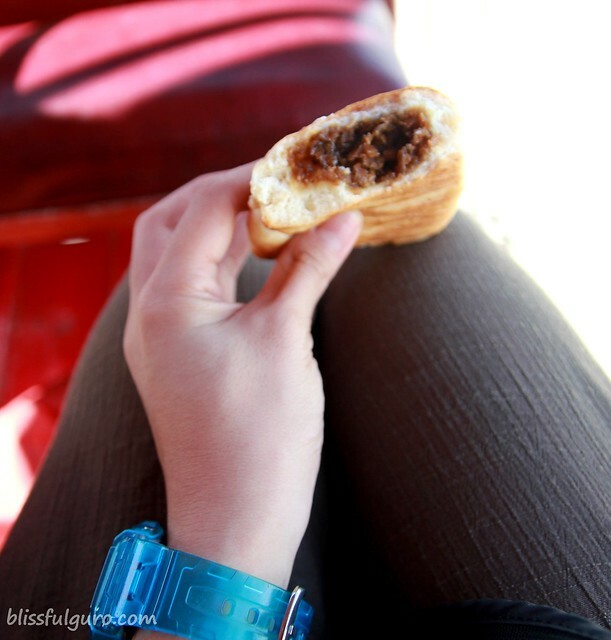 It was Siquijor's version of pan-de-coco for 6 pesos a piece. It was huge and delish! And we hoarded 10 more for our breakfast the next day (which we finished after the tour and became our dinner). We had a slow trike stroll around the Town of Larena. 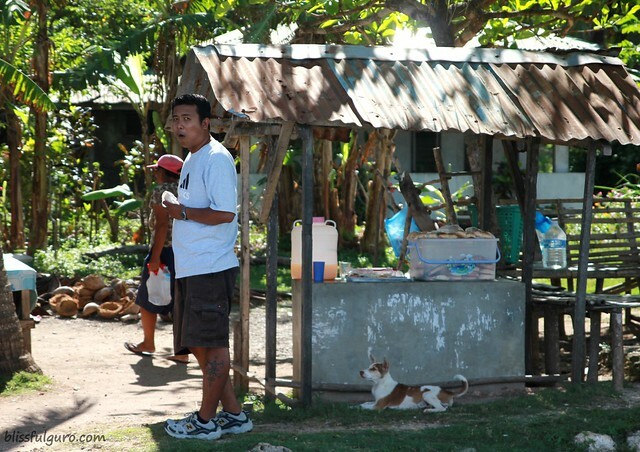 We saw the Larena port and Kuya Joam, born and bred in Larena, couldn't help but be passionate about the town. After that we went to the Provincial Capitol in Siquijor town. We saw a nearby souvenir shop and found out that they sell gayuma and other oils and herbs for pasalubong. 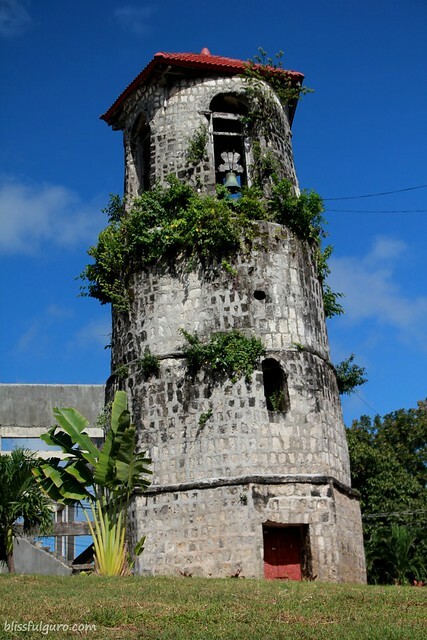 Our last stop was the St. Francis of Assisi church and bell tower in the town of Siquijor. It is made of stone and cruciform. The bell tower stands independently from the church in the middle of the plaza. The images inside were covered as well. We went back to End of the World resort just in time for the sunset. 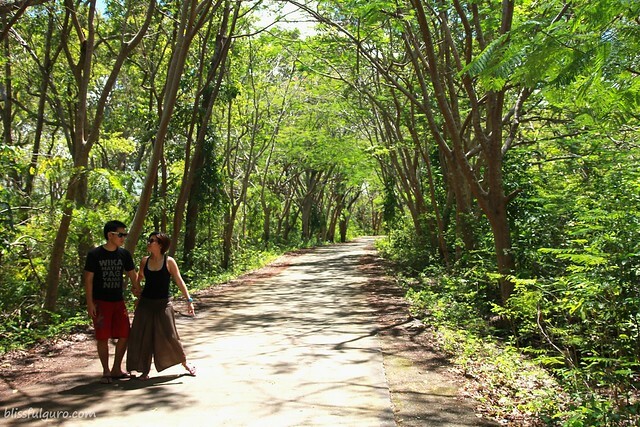 It was the perfect way to end our whole day stroll around the whole province of Siquijor. Generally, the people are gentle and quiet which reflects the whole jive of the province. It was serene. Originally, we planned to stay only for a night. 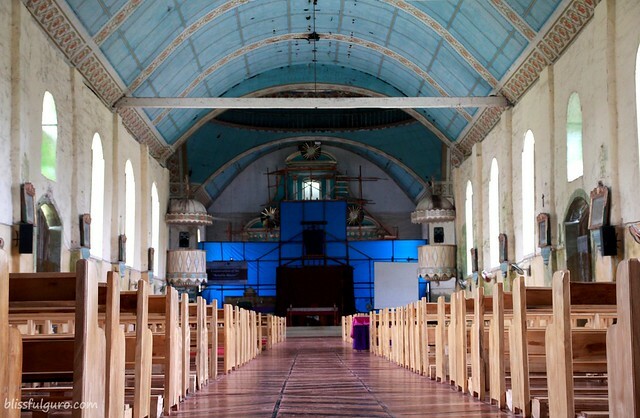 But after experiencing Siquijor's charm, we extended for one more night. 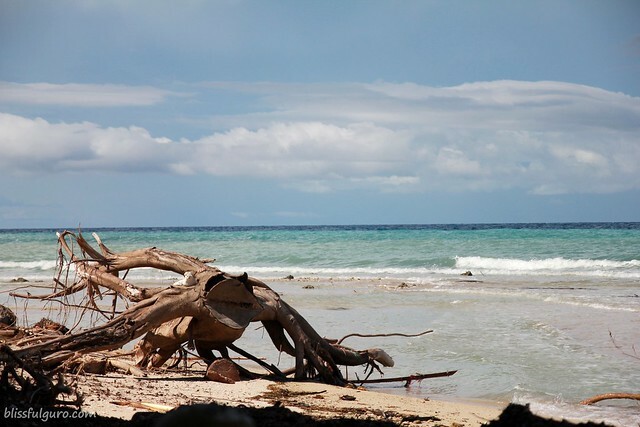 Siquijor is a perfect place to relax and forget about the world. We met a cute couple in the resort, Mark and Stephanie. We chatted most of the time during our stay in the resort. 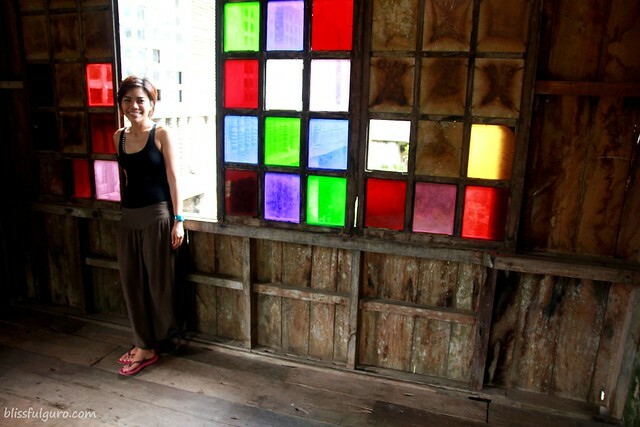 When we were about to leave for Dumaguete, Stephanie asked me if what was our plan. I said, "Que sera, sera". Then she invited me in her hometown in Zamboanguita to attend Apo Island's fiesta. And we were thrilled! WOW!! As in WOW!! that last shot is a taker.. I think I'm gonna contact kuya Joam too and take my time for Siguijor. tamaa! kasalanan ni marx ang duma dot com na yan..haha..
Well, medyo creepy nga si St. Rita. I even let Mom saw it. And she retorted "Bakit ganyan?". I googled it naman pero di naman yan yung image ni St. Rita. Baka ibang version siya. Siquijor is really a charming place. Parang nababalot ng misteryo. Ang ganda nung place na maraming puno tas may road. Perfect for photo-ops. It reminded me of a koreanovela I saw before. Hehe. Ikaw na ang matapang. Cliff diving, shikes! reading this post made me wish to come home, fly to siquijor and rent a tricycle driver to drive me around like what you did. mura na ang PhP 850, kahit saktuhin pang Php1K sulit naman ang maghapong ikot. the first time i saw that virgin image with a skull and a cross was in dennis villegas' blog (dean na ata sya ng dlsu). swerte mo, nakita mo wala pang purple cover. teka, pati ba yun may cover pag holy week? ipadala ka na sa london olympics!!! hi doc! sabi nga ni kuya joam, mura nga daw mag-travel sa visayas..tapos wala masiyadong mga entrance fees..
hi shugah! i want it too! again! ngayon ko lang napansin naka dot com kana pala! hahaha! astig! ikaw na Carla. ikaw na!!!!!!! 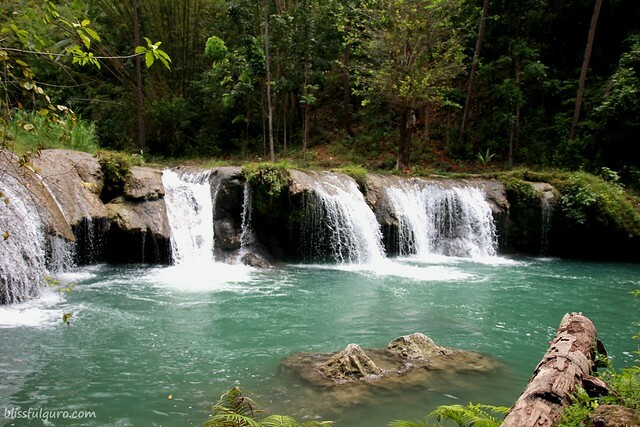 Since many bloggers are posting about the beauty of Siquijor, I'm asking my relatives to visit the place too. You covered so much ground! Kainggit. 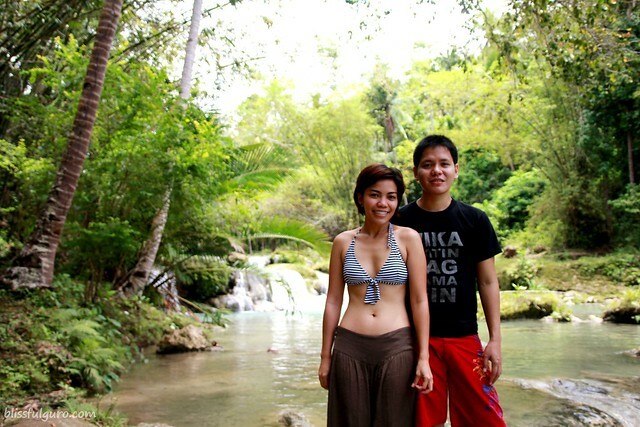 I was 2 months pregnant when we went to Siquijor, and we weren't able to do much coz of morning sickness. LOL. Sana magkaroon ng chance na makabalik! I agree...taga visaya ako...but sadly di ko msydo na feature ang place ko sa blog ko kc work keep eating me...grh! 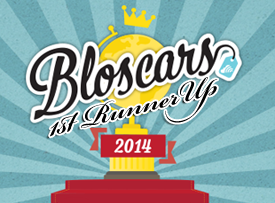 both of us is beach bummer:) ka inggit ka ngyn ko lang napansin you are teacher and naka.com ka na...congrats! we should hit the beach soon watyatinks? Nabigla ka lang sa first encounter sa Pawikan.. hehe. Nice exp yun, I bet! Gusto ko din dito, kaso I have wrong perception sa Siquijor. 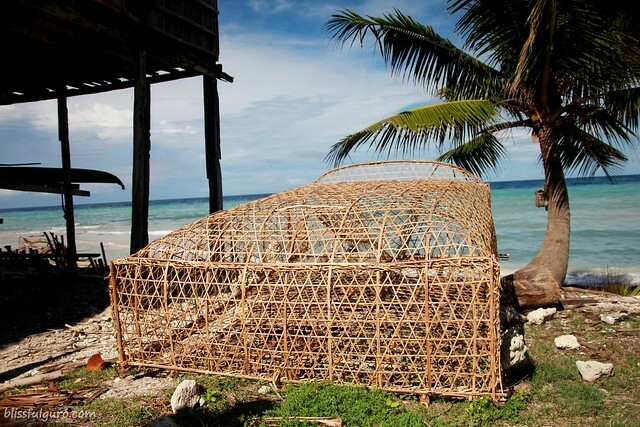 Before, when you say Siquijor, first come to my mind, multo at aswang. Ewan ko. Parang nananakot ang pangalan pero hindi pala base sa wento mo at sa mga pics! Grabe ang buwis buhay cliff jump mo! 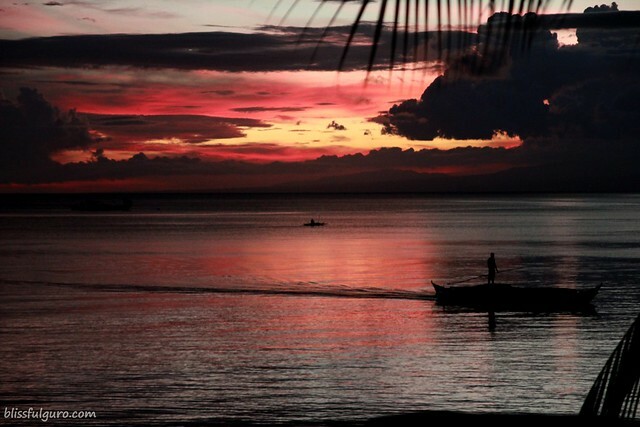 Thank you for showing how beautiful Siquijor is. I can add this to our option list. Mas maganda talaga pag di masyadong touristic, no stress. I like the picture of the Black Magic Mary. thanks kleng! i want to go back to siquijor again. ganun ko siya ka love! 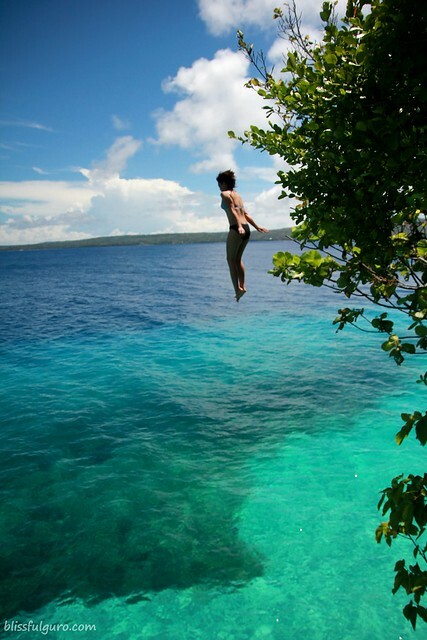 Isasama ko sya sa list ko ngayong 2013.
this is wow :) <3 cliff jump!!! 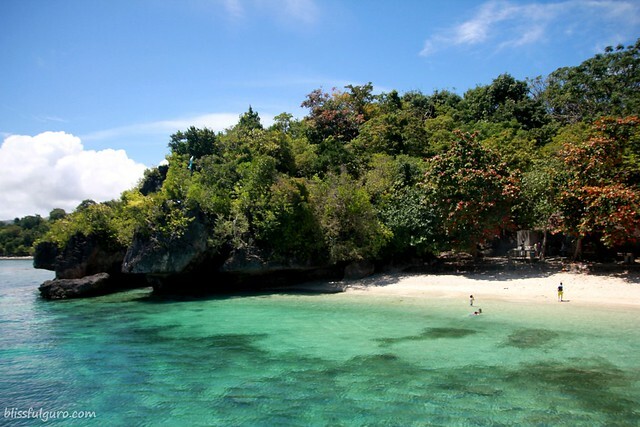 Wow, I can't wait to see Siquijor this March!.. thanks to your post, I was able to gauge the time we'll spend here.. haha :)Question though, how far is Salagdoong from Lorna's End of the world?.. mukhang mas masarap magbabad dyan kesa sa beach in front of Ate Lorna's, tama ba? Sana maaraw pa din by June, target date kasi namin to visit on that month. 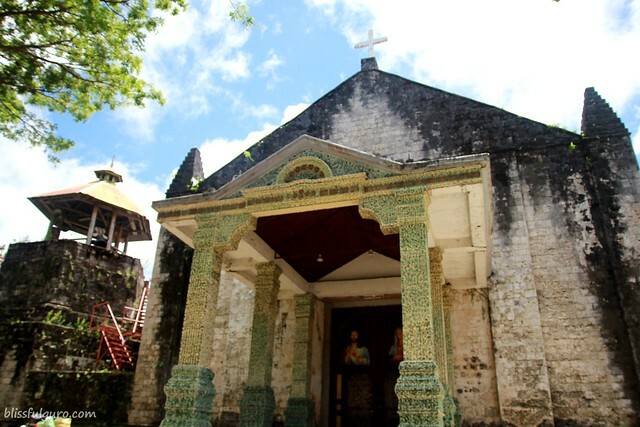 Thanks for this travel story - it serves a perfect guide to Siquijor. Aavail din siguro namin ang services ni Kuya Joam. I enjoy reading!